Century Glass has been servicing homeowners in the Charleston and Columbia, SC areas since 1991. We are the experts when it comes to glass repair, glass replacement, or custom mirror cutting. When you call Century Glass, you get over 25 years of experience working with custom glass. We also provide free quotes for any job, and we work with you in a fully transparent and hands-on manner so that you know exactly what you are getting, and how we provide it for you. Contact us to get your free quote today. Century Glass is Charleston’s go-to provider for custom glass replacement, sliding doors, mirrors, tabletops and more. Stop by our showroom in North Charleston today or give us a call and schedule an expert technician to come to you! With two locations in the heart of the Midlands, Century Glass provides expert glass repair and replacement to all of Columbia and nearby Lexington. If you are looking to replace those foggy windows or fix your broken china cabinet, trust Century Glass . We don’t just replace glass for doors and windows. We are South Carolina’s premier custom glass cutting shop. Century Glass provide custom glass for glass tabletops, windows, sliding doors, shower doors, and cut patterned glass. Contact us today to learn more about how we can fit glass for your custom job and get a free estimate from one of our expert technicians. When it comes time to install or replace the glass in your sliding glass door, call Century Glass. We can provide glass to fit any sliding shower doors, patio doors, sliding windows and more. We can also repair glass, depending on the extent of the damage. In either case, when you call, we will provide a consultation to determine exactly what you need. Home windows get old, foggy, and damaged over time. When it comes time to replace those windows, many of us assume that we must replace the entire window—especially if it is a custom job. But if you just want to replace the glass in your beautiful home windows to bring back that clean, clear look, then call Century Glass. We can cut custom glass for your windows and remove glass that has gotten foggy due to moisture (seal failure), or broken due to flying debris. All our residential replacement windows come with a 10-year warranty. So you won’t have to worry about fogged or discolored windows. Mirrors aren’t just mirrors: they are custom accents that make our homes beautiful. If you want to add mirrored walls or custom mirrors with frames to your bathrooms, bedrooms or in-home gyms, call Century Glass. We take pride in providing some of the most beautiful mirrors for homes in South Carolina. Century Glass can also help replace your broken mirrors. Our experts will measure your frame and glass so we can cut the mirror and refit your frame precisely as it was before. When you’re looking to build or remodel your dream bathroom, or enlarge a room space by adding mirrors to you wall, then contact Century Glass for a free consultation and quote for the best approach to realize your dreams. Glass tabletops are often beautiful luxury items that can, unfortunately, sustain damage over years of use. Whether you are thinking about investing in a custom glass tabletop, or need to replace an existing tabletop, then call Century Glass. What good is a glass tabletop? Glass can protect coffee tables, conference tables, desktops, and end tables from daily use, making them easier to care for and clean. Glass is also a very attractive part of an outdoor patio set, providing a sense of lightness and elegance to your deck area. Just like a window or door, Century Glass can cut a custom glass tabletop for nearly any table you have. Call us to learn about how we can help you mount a glass top on your existing table. If you are looking for something different from clear glass, or you just want to add elegance and privacy to doors or windows, then select from our many styles of patterned glass. 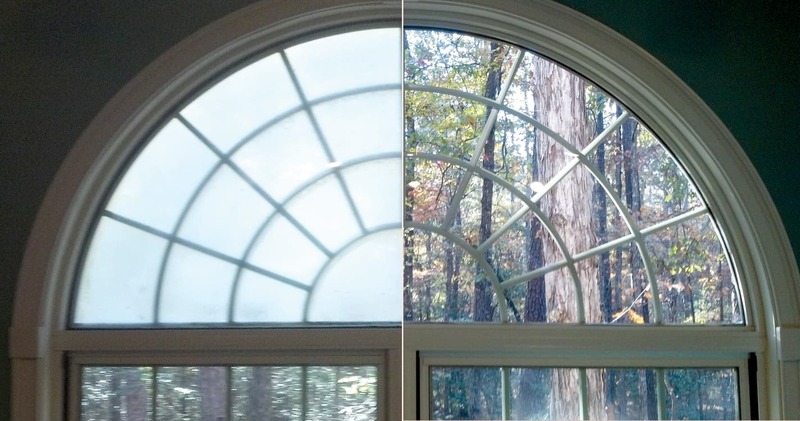 We work with homeowners throughout Columbia and Charleston areas to cut and install patterned glass that allows light in while obscuring the view from the outside. Can glass in windows and doors be repaired? Yes! If your door or window has broken glass, we can replace that piece of glass. Replacing broken glass is oftentimes easier and cheaper then replacing the door or window itself. Why would I get patterned glass? Patterned glass is great for offices or for windows in home areas where privacy is key (like a bathroom or entry way). Patterned glass still allows light to come in to an area but creates an obscure view to provide privacy for those inside the room. Why would I need sliding door glass replacement? Depends on the door. There are several things that can happen to glass sliding doors, especially patio doors, that include damage to the glass, or fog from moisture seeping between the panes of glass. Replacing glass on patio doors or other sliding doors isn’t a DIY job because the piece of glass in the door is typically large and custom fit. Are there special glass types for weather damage? Yes! Depending on your location, you may find that storms cause huge problems for your outdoor glass. If you are in a new construction project, or renovating and replacing windows, then consider replacing existing glass with hurricane-proof glass. This glass is shatter resistant and will minimize damage or flying glass shards due to debris during heavy storms. 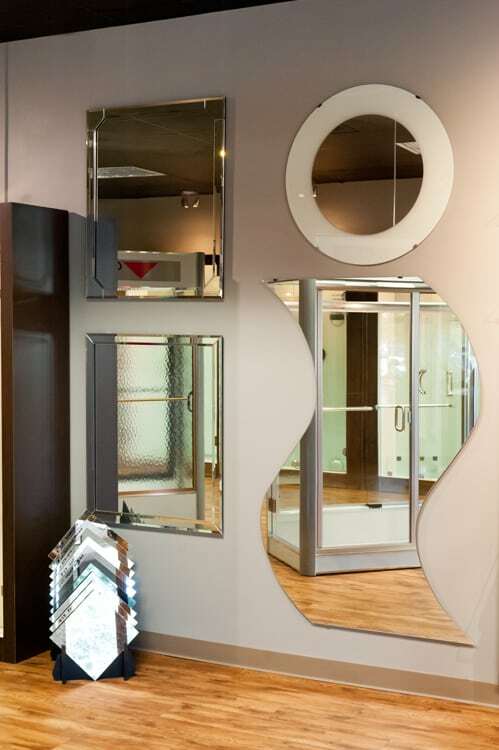 Our Columbia and Charleston showrooms are stocked with beautiful showpieces highlighting the best in custom glass shower doors, bathroom mirrors, windows, sliding patio doors and more. If you are in either the Columbia, SC or Charleston, SC area, then stop by one of our locations to see our quality glass cutting examples for your home.